"Google Docs - International Projects Made Easy"
I love the fact that you can use Google Docs online and offline and it allows you to work with multiple people at once. I also like that you can leave comments and suggestions, because that prevents me from having to email those things directly. I especially like that you can make a copy of every document very easily and that you can control the share setting in a myriad of ways. I have been able to manage multiple projects at once, with people all over the world. Instead of constantly emailing people, I can just share a google doc and then see all of the changes and edits they have made. "process texts and much more with google docs"
"Google Docs - My opinion"
Google Docs is one of the most popular text editors available online. The main advantage of Google is that this service is integrated with other Google services. One of the main advantages is the fact that Google Docs is compatible with all the most popular text file formats and can read text from photos, so we can save a lot of time on rewriting finished documents. Another advantage is the fact that our documents are automatically synchronized with Google Drive so that in case of hardware failure we always have access to them and can edit them on the selected devices. The GDosc interface is clear and easy to use. - Stability is dependent on our connection. - A Google Account is required to use Enough. - Several formatting options are missing from competing solutions. If you are looking for a text editor that will allow you to work with your team on a single document, you should consider trying Google Docs now! Thanks to the use of Google I save a lot of time on transcribing ready-made documents and sharing them because they automatically sign up on Google Drive. ""Google Docs" The most lucrative and efficient cloud word processor. " Fascinated with Google Docs for the creation and creation of texts wherever I am and on any route. Thanks to its features I can make any text on the fly, it allows me to always be close to my clients and work team when it comes to generating some information immediately from any mobile device with an internet connection or simply a mobile device. It also allows me to have access to my most important documentation and be able to edit and use it whenever I want and in turn to have it backed up thanks to Google Drive that immediately saves the changes made to your text file. Having such a versatile tool is super easy and free with just having a Gmail account and you can get so much appreciated benefits that Google Docs offers. Its functionality is excellent for anyone who wants to create a text file, today I can increase my effectiveness and speed at work as well as save time and money to move from one site to another, with Google Docs the benefits are incalculable. Satisfied with what was contributed by Google Docs, I consider it a very good tool with excellent functionality allowing me to access and edit my most important and necessary documentation for my team, as well as the export of files in PDF formats, honestly the word processor with excellence on the cloud. Completely free tool where offers excellent features to streamline any word processing, no doubt recommended for any professional who wants to improve their efficiency at work. Better efficiency in the work team. It saves time and money. Edit information from wherever you are. It improves the productive processes. More effective communication with the customers of the organization. Process texts from any mobile device. 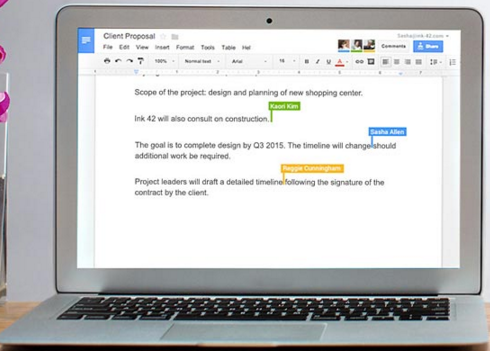 "Google Docs is much more than a word processor." Currently we live in a society in which it is necessary to have a word processor to create or edit files, it's like having a pen to sign, because of that, since in the personal and the company we are constant users of the Google app. Google Docs is definitely one of the best we have tested, it is quite easy to use, it is compact and the best thing is that you can access files from the cloud to continue editing or doing other processes. Another thing that I love is its price, it's totally free, you only need to synchronize your google account and that's it. I would like to be able to download extra content packages such as fonts and styles to make the design experience more professional and complete. It is easy to use, free and compact you can access from a computer and smart phone mid-range, if you are looking for alternatives, Google Docs is the best of all. Previously we spent a lot of money in payment of licenses in use of other word processors, the expenses in the department of analysis in that aspect were aliminaron when beginning to use a gratuitous and less heavy application for our computers, it has optimized enough our time of work. We can use it from our phones, so there are no limitations. "Google Docs is easy and collaborative for our small business"
The ability to collaborate in real time with my business partner despite where we're at during the day is absolutely essential to use getting work done in a timely manner and being flexible in real time. It's a little clunky sometimes and doesn't always accurately translate to Microsoft Word. We like to use Google Docs to work together and constantly save all the changes but then usually have to export to Word and reformat if its a formal document that we will send to a client. Great for collaboration, but I wouldn't use it to send a Google Doc to a client. Great and easy to use for collaboration as a small business! Plus its affordable for a business. Collaboration was a problem that we solved with Google Docs. If we started a document in word and wanted to make revisions it was constantly emailing back and forth and trying to keep track of versions of the document through its many changes. With Google Docs we can just collaborate seamlessly and edit as we go and we know whatever is current is the latest version. "Excellent free and online word processor. " It is a web text processor and also for mobile phones that allows you to read, modify and create documents online and save them on your computer, laptop or cell phone, works and saves files in various formats, texts compatible with other programs and works with some browsers. has limitations to create documents with texts and images, which can not exceed 50mb per file, it only serves to create documents that do not store so much information. And you must work with the internet and apart you must have a Gmail account to use it when exporting or saving files between users. I recommend using this application when you do not have an office application installed on your computer or laptop, you can even download it to your Android phone, you can read and create documents in various text formats and save them in the cloud or later on a compatible computer. also with browsers such as Google Chrome and Mozilla Firefox. It allows you to create, read or modify documents easily and quickly, when you do not have a program previously installed to process texts directly on your computer or laptop, it allows you to read or save documents in any known format having compatibility with some popular browsers. "Google Docs, Another excellent Google application." What I like most about Google Docs is that it is a word processor capable of doing anything we can do in a desktop office suite, but the same type offers a feature that makes it unique and is the possibility to work in the cloud and connected to your Google account with all the advantages involved, especially useful functions that allow us to save the documents in our Google Drive account or the ability to synchronize different mobile or desktop devices and modify the same documents from different places. Another very good feature is the possibility of sharing our documents created in Google Docs with any person simply by pressing the "Share" button we are offered several options to share our work quickly and according to our convenience, although personally the most practical in my opinion is the option to share link since it produces a link with the code of our document but that can only be seen in reading mode. Sincerely sometimes the power and speed of desktop applications are missing but we are in 2019 and the world is moving in the direction of applications in the cloud and Google Docs is a great alternative. I would also like to add a utility to change the interface for a darker and work better at night. Always use a gmail account for your work online, and if possible the same account on all devices, this will help you in your work since you do not need to access the content using the option to share, but you can work anywhere and from anywhere. any device. The problem solved by Google Docs is that which allows users of the platform to work as a team so that several people can modify the same file as many times as necessary, and it also helps to share documentation quickly and easily. "Excellent for working in real time with several people at once"
One of the things I like about Google Docs is that several people can collaborate in real time in the same document. This is a very valuable feature that not all traditional text processors offer, besides that it allows us to share both internal and external access in specific documents and in this way to control who can see the documents and what privileges are assigned to each people in different files. It should also be mentioned that its compatibility level is excellent, you can open documents from your computer, tablet or smart phone without problems. The only weak point that has Google Docs is with the work offline, since the work mostly depends on the browser and on the other hand it is optimized mainly for Google Chrome and other browsers do not have the same level of compatibility with its complementary functions. It is a very useful tool to keep documents updated when you work with other members of your work team, however as its use is online depends that you are connected to be able to use it. Google Docs has allowed me to keep updated the documents that I have to share with my team and that they can access them in real time, allowing us to streamline the work guidelines and not have to waste time sending documents to each one separately. "Extraordinary online tool to process documents"
Every day we see how the web world is evolving, in this opportunity Google docs is a free tool where I can make texts, presentations, drawings, and offers many more functions. This system automatically saves you in a cloud any document that you have made, under security, and you can work in it anywhere you want. This program is very good, but it has limitations in its formats, which sometimes makes my job difficult, I must have an account to access it, I must have it protected with a password since I run the risk that other people see my documents without My permission. It is ideal to create any type of document, spreadsheets, basic presentations and you can access it from anywhere with an internet connection. He has given me help in all my projects and activities, doing my work with my group from anywhere and having an internet connection. "Google docs is a good option to edit spreadsheets"
We like the amount of templates we can work with, especially when it comes to graphics. It has an excellent display on the web, and does not need to be installed (in the case of desktops, on mobile devices, yes). The templates also allow us to handle a large number of personalized documents, and many are quite attractive. Basically we do not have to worry about the format of the documents. A serious problem with google docs is its dependence on the internet connection. Without internet you can not work on the platform, or at least, it does not synchronize with the other devices that work with the document in question. We do not like the system of typing by voice, since it is not usually precise with what it detects, especially when speaking in Spanish (it is as if it were only well optimized to work with English). There are not enough fonts. Google docs is a completely recommended online service. We love that it consumes so little bandwidth, and that the documents are so customizable. We highly recommend its use for the creation of spreadsheets. 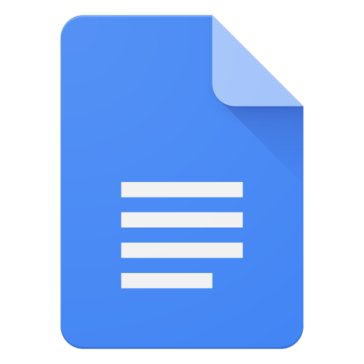 With google docs we have achieved a new and very fast document creation process, and the freedom to do what we want with each document (speaking creatively) since in this area it is quite customizable. Thanks to the system of self-storage offered by the platform we are more protected with the accidental closures of the browser. ""Google Docs document management tool more effective, lucrative and secure cloud" "
Google Docs very collaborative document management tool for any professional or organization, allows access to your most desired documents from any site, thanks to it the collection of information, as well as the exchange of text files with employees from different departments and customers . Being able to access them is very simple, you only have to have a Google account in order to benefit from all the features that such a fruitful tool provides. In addition to that, it has allowed me to create my documents from anywhere without the need to have my computer at hand, just by having an Internet connection I can prepare my work proposals, reports, and access to my information. I no longer worry about generating an email to provide some relevant information to my work team, with Google Docs it undoubtedly facilitates our work management and always in favor of continuous improvements with this tool. Another feature that I particularly love is that I have stored my most important text files of my work in Google, which reassures me and I can attest that it is backed up safely without worrying about backing them up. My perfect tool to generate text files, inside and outside my office. Personally recommended, Many benefits practically free. Taking into account that it is necessary to have an Internet connection to be able to access your documents knowing that it may be a temporary restriction I feel very good when using this tool, without hesitation Google Docs has allowed me to work more quickly and dynamic no matter where I am. Personally I consider it excellent without negative comments in which to make reference. It is a totally free tool and in addition to that it provides excellent working characteristics, for me it has been of vital help when leaving my office, it allows me to always stay closer to my work. Ease to access my documents. Improves productivity and performance at work. Improve the effective distribution of documents and relevant information. In addition to all its offered features, it also helps us to back confidential and important information for our organization. "Access your documents from anywhere and with any device"
It is a completely online software with which I can make many types of text documents, it has a very intuitive tool panel and with everything you need to change the sources, add images, videos and links, it is very useful to save files in the cloud and be able to access them from anywhere with your mobile device. The mobile version of Android is a bit slow to keep the files updated, I can also say that this software has a lot of limitations in terms of options and features because it is totally online software. It is an ideal software to work in a team, it is also free and very easy to use, you will only need a google account and you will be able to start using it. Google docs has offered me excellent benefits in the creation of documents in the office since I do not need to install anything on my computer to create documents, it also helps me to directly share my documents with my colleagues. "A perfect way to keep the documents on online"
It is the best in use as it provide many features and also we do not require to keep our documents with us as it is the platform where we can keep safe our document and also can use this at any time. It also provide editable document facility. Font size , color also modifiable. We can add more than one font into it as well. It is so simple in use. By using google docs we can edit, create and update any of the documents in various font and file formats. It only works while connecting with internet if internet connectivity is gone, we can not use it offline. Also we can not perform any action at that time. It is completely dependent on internet. It is online documents editing , modifying, deleting facility through which anyone can save their time and increase their work efficiency. There is an additional features in fonts where anyone can add more fonts . It also provides the features of create and remove header. It helps our organization to keep all the documents with google docs and any employee can fetch these documents from another computers and employee do not require to carry his own laptop. With the feature of online documents editing, it saves our time and manpower and within limited time our organization has shared the documents with others online. It also provide the facility of security to whom we can share our documents as per our will. There is an option of editing, viewing and suggestion on documents. It helps us a lot. First you don't have to sign in or sign up to use it. For somehow google recognize your company computer and sign you in automatically with your company email. Second, the interface to edit the doc is very friendly and easy to use. Very similar to Microsoft Word. The interface doesn't allow you to create the directory. You have to put all the docs at one place. Not very easy to manage different types of docs. I'm not sure whether google doc is free to enterprise. If it's free, go ahead to use it instead of developing expensive and unfriendly internal tools if you want to share docs with your colleague within the company. Online change and share document with colleagues. It solves the problem. Otherwise you have to edit the doc locally, then put it in a shared folder every time you update the doc. 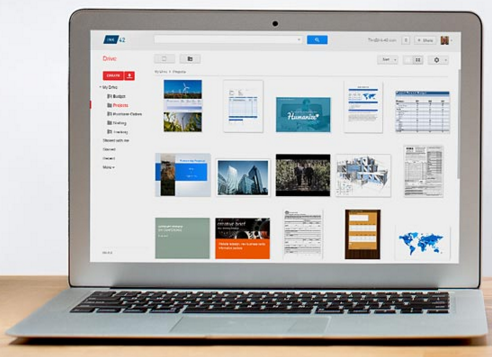 "Google has proved themselves again with Google Docs"
The best part about google docs is that you can create and share your documents easily anywhere at any time. Creating a document is very easy. It is also free, unlike some other word processing software. The voice typing feature in google docs is one of the promising features of this software. Another good thing about the software is that many people can collaborate in real time in the same document. Google docs have some of the promising features which other software don't have and the main example of that is voice typing feature. Our documents are also securely stored by Google which is an important thing in today's wold. The main downside of this software is that it always requires an internet connection to run and the user also must have a Gmail account. Without an internet connection, this software doesn't work. It takes some time for the user to learn about how to use the software but after learning one can use the software properly. The software also lacks some of the functionalities which a word processor software should have. Adding some more functionalities would be great. The document sharing between co-workers problem have been solved by google docs. One can easily share the document with their collegaues with the help of google docs. The benefit that i have realized is that despite being a software packed with lots of functions, the developer have decided to give the software for free to the users. "Best word processing solution online"
Everything! As a Content writer, I've got to say that Google Docs is my one go-to tool to work. It's the most essential tool in my toolkit. I love how I'm able to save all my documents on the cloud and backup and sync them on my computer. Also, all changes made are saved instantly and you have a revision history that's made all my projects bulletproof in terms of saving and changes. No more work lost because I forgot to save changes before closing the laptop. If I'm on the move or I simply need to check a document quickly, I can easily do it from the tablet or my phone. So that has helped me take note of anything that comes up on my mind, no matter where I am. There's not much to dislike about Google Docs. if I'm frank. Some people have encountered problems with the export functionality, but I don't really use that much so I wouldn't know about it. If you're offline, you better have an alternative, I haven't been able to use Google Docs offline so far. Make sure you have an offline alternative. Mostly, working collaboratively has been bliss ever since I started using Google Docs. Once, I had a document open in which three writers around the world were working at the same time! Reviewing, editing and commenting is another great benefit from Google Docs that we have applied to all our projects. Google docs is a free program that includes a word processor, a spreadsheet, an editor of forms intended primarily for surveys. 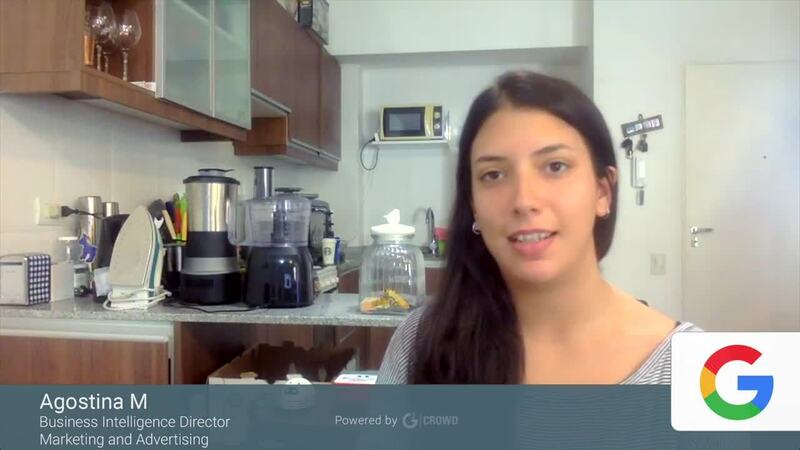 For me the advantages are enormous, firstly for the fact of being able to carry out group work from any point that has connectivity to the Internet, to be able to find elements within a community, to be able to share the own creations, that all the documents are in a same site, great variety of tools, etc. It adapts to various devices, so I can do my job wherever I want. I store and organize my work in a safe way and I can organize it through folders of easy modifications that are always available to the members of the group, which is more useful than it seems. And the only requirement is to have a Gmail account. As the use I use in it is pretty basic, I can not say something that has upset me or caused any problems. I feel that it fulfills all the purposes for which it was created and I think it does not need anything else. Is very complete. 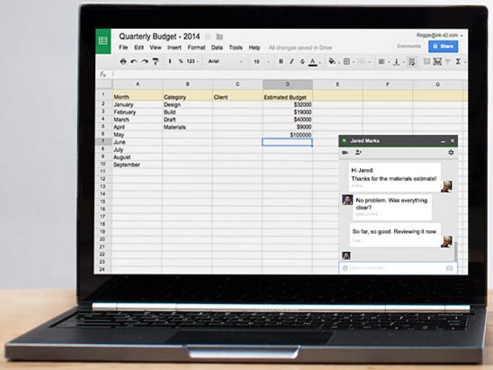 You only need a Gmail account to start using Google Docs in your work. Making a document is very easy, and when finished you share it with a work group, print it or simply store it. In my job I have to create documents almost daily and expose various topics in it. Personally, doing a digital job and then printing it is much easier than doing it in manuscript. I find it very helpful to share it, since I can share it with my colleagues or superiors, or print them out. "Google Docs - My review"
Google Docs is one of the most popular online office work packages. The most significant advantage of the whole package is that it supports all formats of the popular Microsoft Office package and allows you to work in a group. We can share our document using the link and grant editing or preview rights. To use these services you only need to set up a Google Account, which most of us already have. Together with the account, we receive an internet disk with a capacity of 15 GB - it is there that our documents will be saved by default. The ability to create documents in this way is ideal for remote working. We can also select selected fragments of text and add comments to them. One of the drawbacks that I noticed is that while we will not have access to the Internet, we will not be able to open files that are important to us. If you are looking for a document editor that allows you to work together and is available for free, then you should consider using Google Docs now. Using Google Docs, I can work with my team on important documents. I love that Google Docs is simple to use and that multiple people can collaborate on one document at the same time. It makes team project such a breeze, especially when you can look back and see who made and change to the document and when they did it. I dislike that you can't really use it if you don't have internet access. It hinders a lot of the great features of collaborating and even hinders you from saving the document. If someone hacks your email account they have access to everything you store on Google. It's a free product that allows group collaboration. I highly recommend trying it. I prefer using this to the Microsoft Suite whenever possible. I think it's worth a try. There is a small learning curve, but it doesn't take long to catch on at all. It changed the way I worked in groups because we don't all have to be sitting in the same room. I can work on this from my desk and someone can be in another building and we can be changing the same document in real-time instead of having to save several different copies. I am able to have a running document that shows monthly cost updates and my supervisor and others can see if and make changes as needed. I like that I don't have to be in the same space as someone when we are working. If there is a deadline that needs to be met and someone is out of the office, they can still work on it because they don't need specific network access. "The Only Word Processor I Need"
Being able to save my documents to the cloud and take them anywhere I go is incredible. The web interface and phone app synchronization allows to me to start a document on my phone and update it on my computer, so that I can add any ideas at any time because I always have access to my work. The export function to PDF/Word files is good but does not always work smoothly, with some strange formatting changes when it's exported that would not appear in the original document (mainly that the text moves to a second page so that my files are longer than expected — a real problem for resume writing especially!). Microsoft 365 has similar integration but nothing is so smooth as Google Docs (and it's free!). Collaboration is the biggest help in Google Docs. I was an early adopter of the 2010 failure Google Wave because of its potential for writing side-by-side with collaborators. Google Docs allows a smooth workflow between the six team members I work with daily, as well as a broader company reach. We can share materials with offices in other states and have the most updated documents in hand at any time. "The best document manager in the cloud."